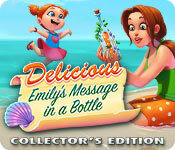 Delicious: Emily's Message in a Bottle Collector's Edition is rated 4.6 out of 5 by 32. Rated 5 out of 5 by flyawayfaye22 from Another great addition to the series I LOVE the Delicious series - following the story of Emily and her family & friends has been a joy. Once I start a game I don't want to stop (which kills my carpal tunnel but whatevs) and I keep thinking about the story when I'm not playing! The levels are always fun and challenging and the CE is great because of side levels and collectibles, not to mention a bonus game with 10 more levels and a bit more story! Honestly, if you like Time Management or want to try it - BUY THIS GAME!!!! Rated 5 out of 5 by grandmacira from the best one yet!! I can play this game over and over and over. love it!! If you have tried and liked any of the " delicious, Emily's" series, you will LOVE this one. no matter how hard i try, i cannot find the mouse in level 53? Rated 5 out of 5 by Ruckus777 from Gorgeous and Fun Time Management! What a lovely game! I have nothing bad to say about it. The graphics are beautiful, the music is nostalgic, and the story is really touching. I felt immersed, especially with the well-fitting & emotional melodies. The designs for the characters were all unique and charming, and they felt realistic, especially as time went on! I really enjoyed the gameplay, too. It was the perfect amount of challenge at normal difficulty, even as the game went on. I thought that the options for food really fit the different themes of restaurant, like classic Italian food and birthday party food. Overall a gorgeous and fun game that I would definitely recommend! 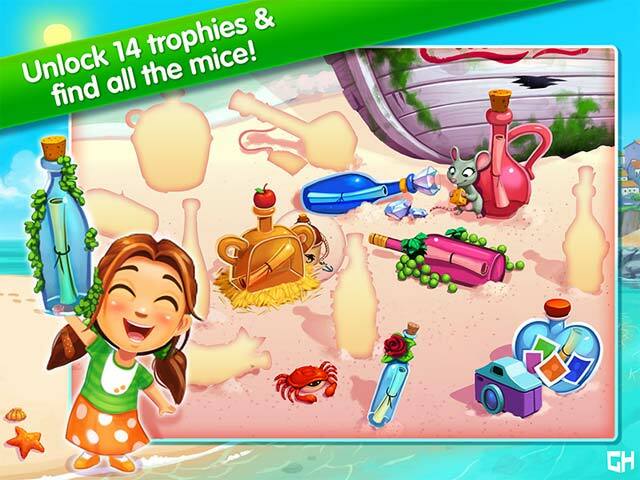 Rated 5 out of 5 by duckyxoxo from Oh how I adore all emily games... This one did not disappoint. I love every Emily game. And this one was just challenging enough to make me have to report some levels but fun enough to make me want to continue and get every achievement. I loved it!! Rated 5 out of 5 by megnaz from As fun as all the delicious games I love this series! CAN'T WAIT FOR THE NEXT ONE! 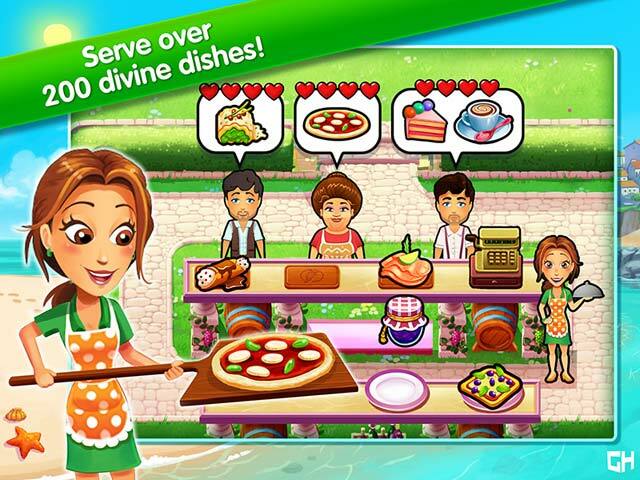 Rated 5 out of 5 by Lisa_a from IN LOVE I was so happy to see a new Delicious game..I'M IN LOVE WITH THESE GAMES!!! I recommend ALL of this series!!! Rated 5 out of 5 by ree3818 from Love it! Great game love all of Emily's Collections! 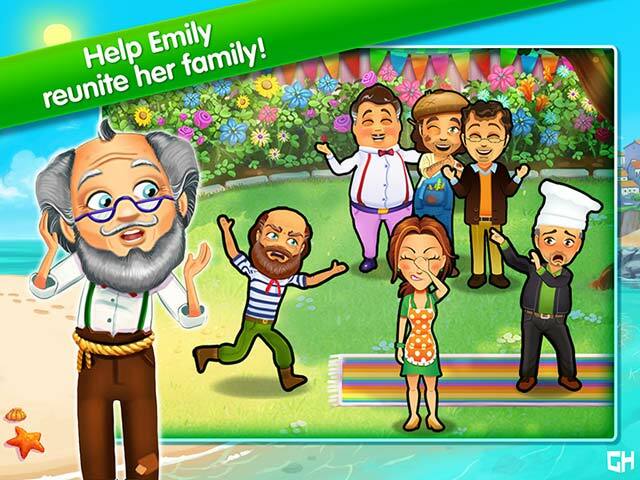 Rated 5 out of 5 by SmallPackage from Love each installment of the life of Emily Each game has new fun. I've become a great fan of Emily's life from her young years to her raising of one child. I look forward to the next installment(s) to her life, friends and family. I will be looking for her courtship, second child, learning to drive, etc. There are so many possibilities. Each is a game of good morals. Keep up the great work on clean fun. Rated 5 out of 5 by snowbunny1977 from Different Story I enjoyed the game. It was different than what we are used to but not in a bad way. Its nice to get to know Edwards family. I read that someone thought Francois wasnt in it much. Um...he was too. I saw him in every restaurant more than once sometimes. I would like to see him branch off and do his own story like Angela did. Thats one thing is we didnt see Angela this time and it was a bit of a bummer but no big. I know a lot didnt like the game but I did. Not my ultimate favorite but I liked it. Rated 5 out of 5 by sharkkat from Great Emily game added to the series Have been waiting for BF to offer this game and I wasn't disappointed. Great story line that takes you back to the beginning. Game play starts you out slow, to get your feet wet and picks up as you continue through the levels. Was a bit of a bummer having to replay levels several time to achieve all the trophies, but that was just a minor irritation. If you love TM games, this is a great one. Loved Paige singing during the credits, puts a personal touch to the Emily series. Can't wait for the next one. I highly recommend this game.